I was honored this summer to be invited by Down East Magazine, the magazine of Maine, to be one of their cover artists for Down East Magazine’s 60th anniversary issue. Joining me were artists Alex Katz and William Wegman. 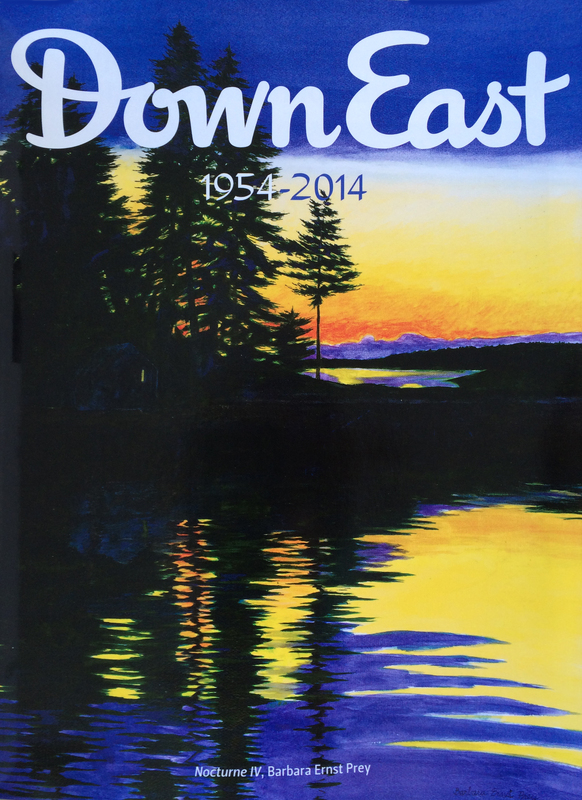 Down East invited iconic Maine artists for their 60th anniversary issue. The magazine has a history of supporting the arts, and for many years it featured artwork of respected American Artists as their covers. 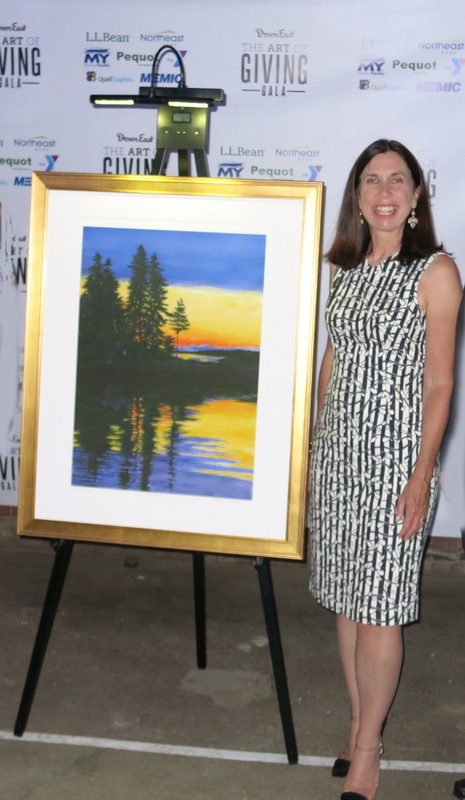 Maine has a long tradition in American painting. Artists from all over the country have, for years, been coming here to paint (Church, Hopper, Homer, Indiana). Alex Katz has been painting in Maine for sixty years. It was a wonderful recognition to be included as a member of this iconic group of American artists. The uniqueness of the cover art, however, is that not only were they celebrating their 60th anniversary, but they chose to celebrate with an Art of Giving Gala. Each one of us selected a particular charity/organization to support. The night raised $10,000 for each artist to give to the organization of their choice. I chose the Bowdoin College Museum of Art as my organization. In an interview that appeared this summer in Down East Magazine, “Five Questions with Artist Barbara Ernst Prey” (http://www.downeast.com/five-questions-artist-barbara-ernst-prey/) I explained why I chose the Bowdoin College Museum of Art and the importance to me of small museums. Museums, particularly college museums have played an important part in my career and I value the importance of colleges like Bowdoin, Colby and Williams. 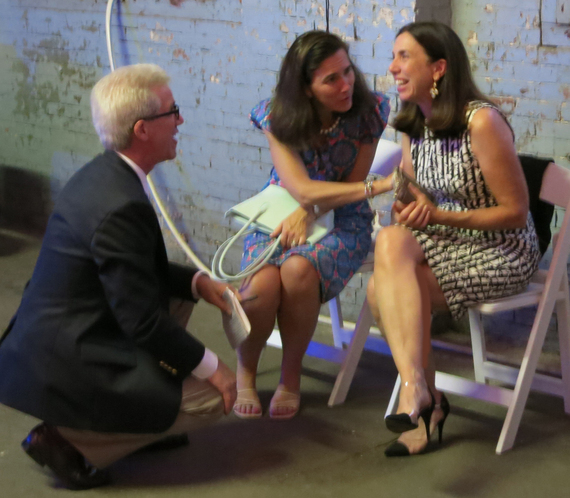 I have also mentored a number of Bowdoin students. I am appointed by the President of the United States to the National Council on the Arts, the advisory board to the National Endowment for the Arts. Members are selected for their widely recognized knowledge of the arts and for their established record of distinguished service or achievement in the arts. We support the arts in America as we advise the Chairman and vote on all of our nation’s grants. I graduated from Williams College with honors in Art History and continued studies at Harvard. I was fortunate to study art history with Lane Faison at Williams, dean of the “Williams Art Mafia” who wrote the book on New England College Museums. Museums have been very important to my develop as an artist. Curator Sarah Cash, Corcoran Gallery of Art, in my Paris, France exhibit catalog discusses my time spent in European museums when I was the recipient of a Fulbright Scholarship and then when I lived and painted in Asia as the recipient of a Henry Luce Foundation Grant. 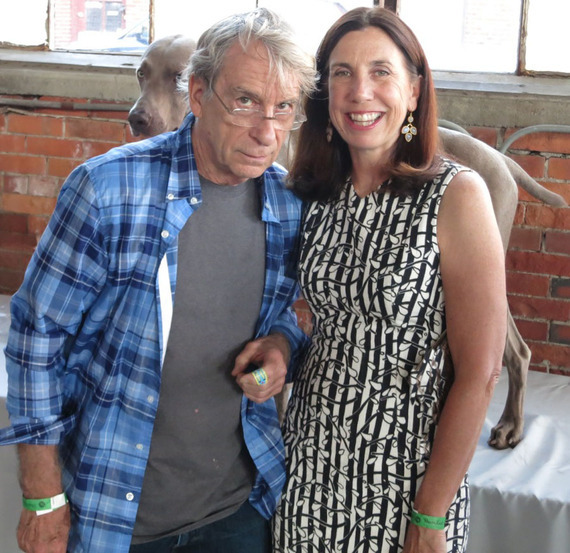 The Gala event was a great success and I was thrilled not only to be on the cover with Alex Katz and William Wegman and be part of a long tradition honoring American artists, but also able to help raise money and support a museum. It was a unique way to support the community.